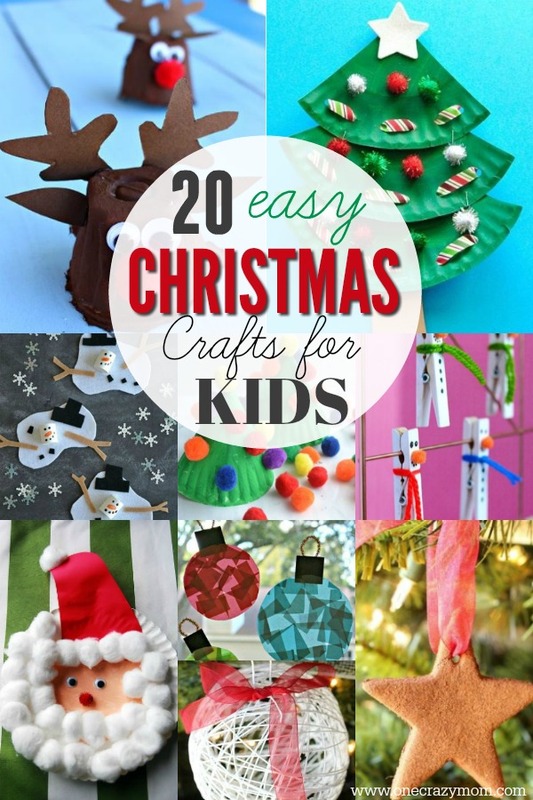 Today, I’m sharing with you 20 of the best Christmas craft ideas for children. These are perfect for kids of all ages, and are super easy to make! No one loves making crafts more than my kids! As the holiday season quickly approaches, my kids can’t wait to start making winter and Christmas themed crafts. You can also make some of these for children’s Christmas tree decorations. 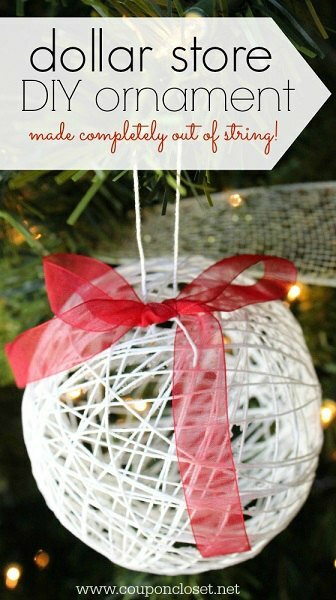 I love the idea of making ornaments and being able to keep them year after year. The kids will have so much fun making these and it will be a special memory. 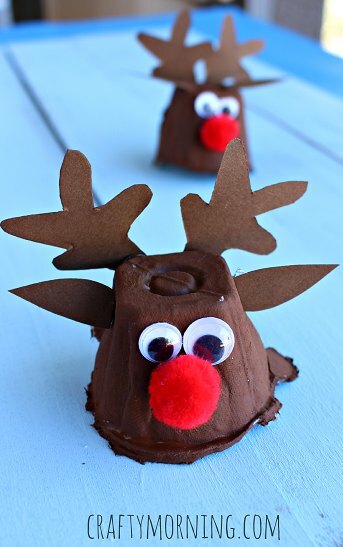 What do I need to make these Christmas craft ideas for kids? Each craft idea calls for various items and many use things you can just grab around the house. Those should have you off to a great start for lots of craft time this holiday season that even include ideas for holiday decorating. 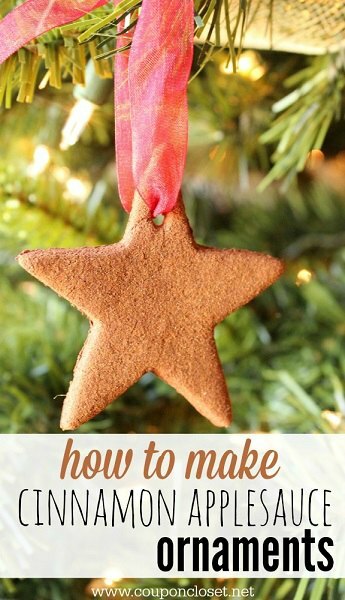 We love Christmas and easy Christmas crafts the kids will love for a special homemade Christmas. Family members will also love these so you might consider having the kids make a few extra to hand out. Grandparents love DIY Christmas ideas like these. From candy canes to Christmas ornaments, there are lots of fun project ideas to do this holiday season. Let’s get started with these fun craft ideas! 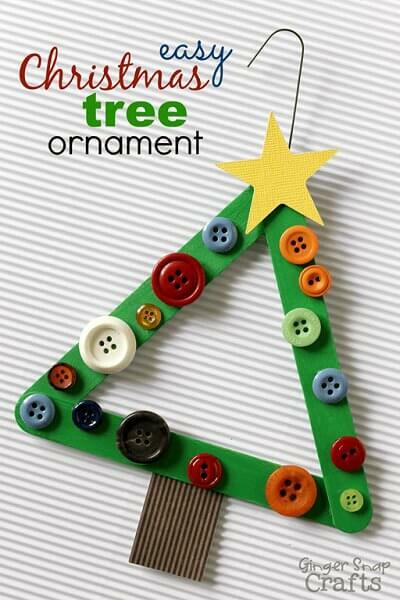 Kids will love these Christmas tree crafts and choosing from so many fun craft and DIY Christmas projects. Glitter makes everything better! 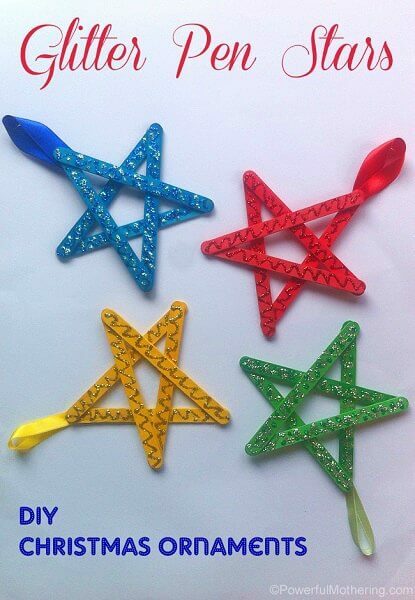 Make sparkly stars using glitter pens and then use them as Christmas tree ornaments. 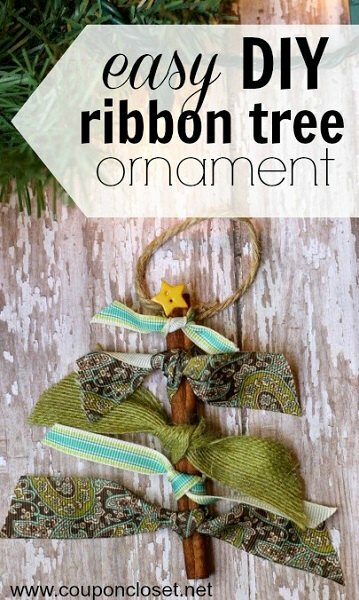 The pretty ornament is made with ribbon and cinnamon sticks! It will smell amazing on your tree and look adorable too. 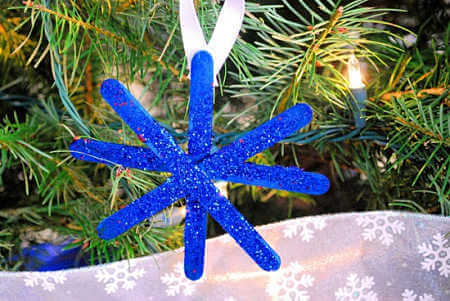 Use popsicle sticks to make this pretty star! Paint and glitter add the finishing touches and make the snowflake complete. 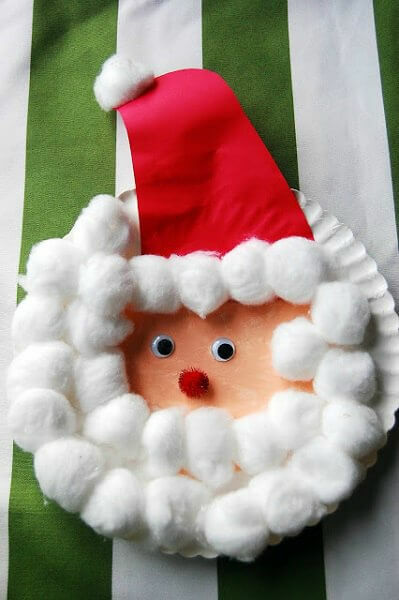 How cute is this little Santa hat ornament?! It’s amazing what popsicle sticks and cotton balls can make! Make a Christmas wreath with paper plates and fuzzy decorations. Kid’s will have so much fun painting and decorating this paper plate craft. 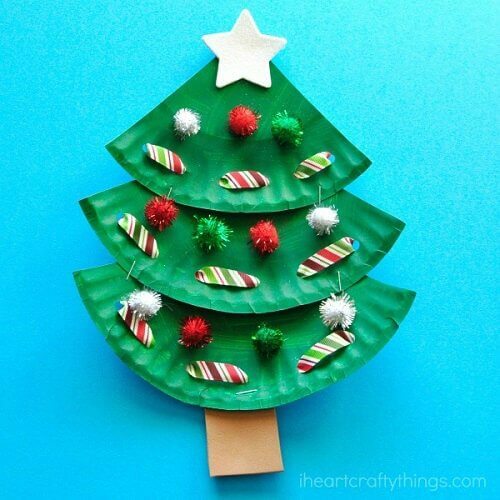 Make Christmas trees out of paper plates. These little trees are precious and can be used as decorations. Use buttons in Christmas colors to make this adorable button wreath! It’s the perfect ornament to keep year after year! 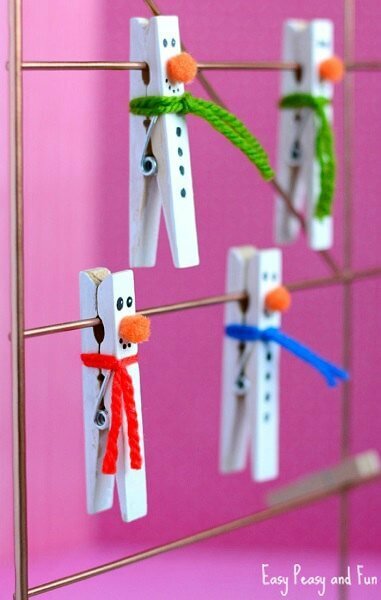 Gather your clothespins to make these festive snowmen! I think these would also be cute to use on goody bags. Baby it’s cold outside! 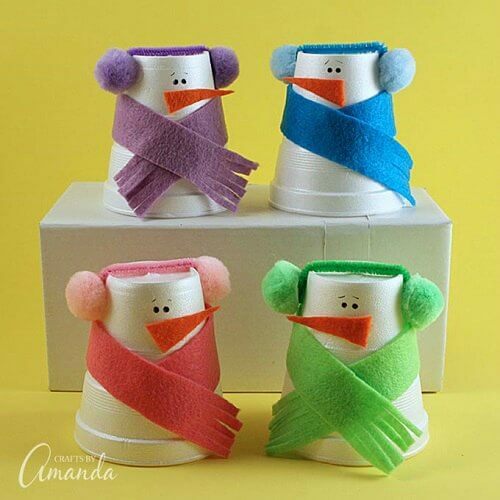 Make snowmen bundled up with paper cups. Such a cool idea and festive too. 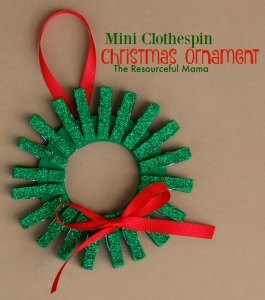 Mini clothespins come together to make a Christmas wreath ornament for your tree! Sparkly and green, this is perfect for the holidays. Think outside the box and use household items to make art! Such a fun idea and the final product is gorgeous on construction paper. 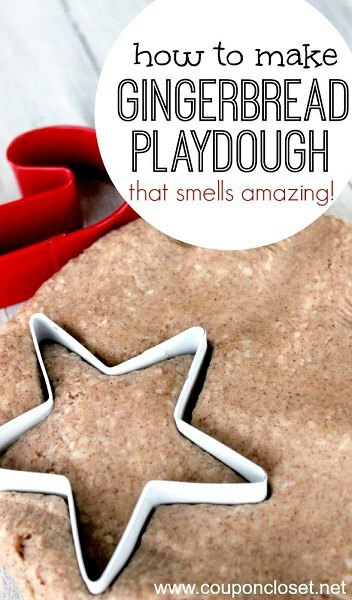 Kid’s love pladough and gingerbread playdough is perfect for Christmas! This is easy to make and would also make a fun gift. 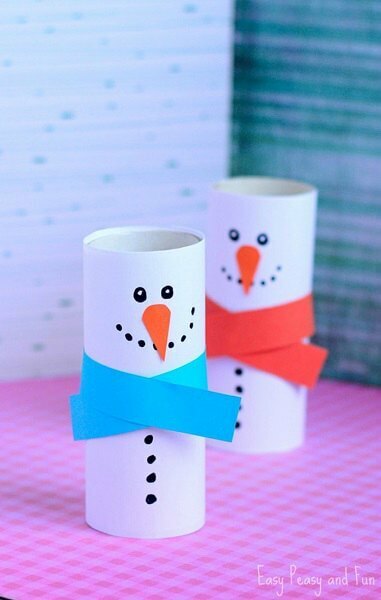 Use leftover paper rolls to make a snowman! 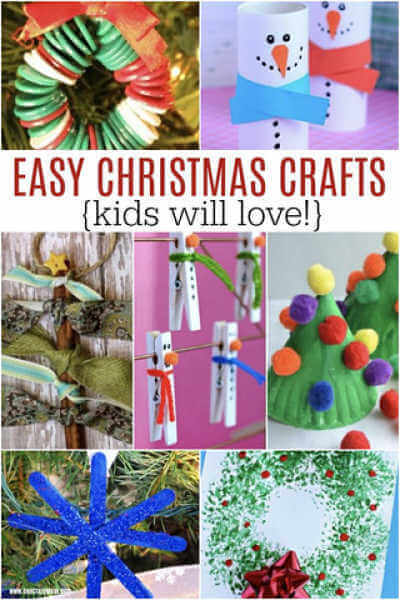 I love crafts that use stuff we already have and the kid’s will love making snowmen. 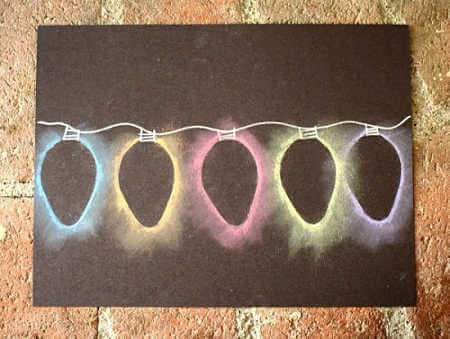 Use stencils to make this pretty display of Christmas lights. All the colors are gorgeous and would make beautiful decorations for Christmas. 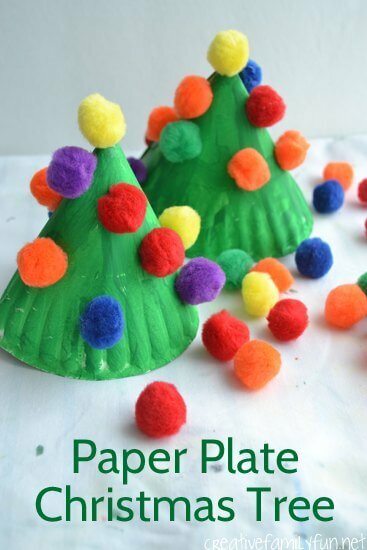 Layer paper plates to make make Christmas tree crafts. Such a clever idea that won’t break the bank. Make Santa from paper plates and cotton balls. This is so cool and perfect for toddlers to complete. Make ornaments from cinnamon applesauce in an assortment of shapes! The color is perfect and they smell amazing on your tree. 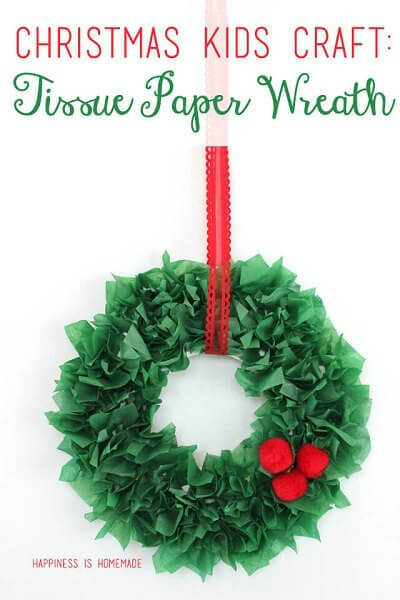 Use tissue paper to make a gorgeous Christmas wreath. Pom Poms make the perfect “berries” and add a festive touch. This idea is so fun! 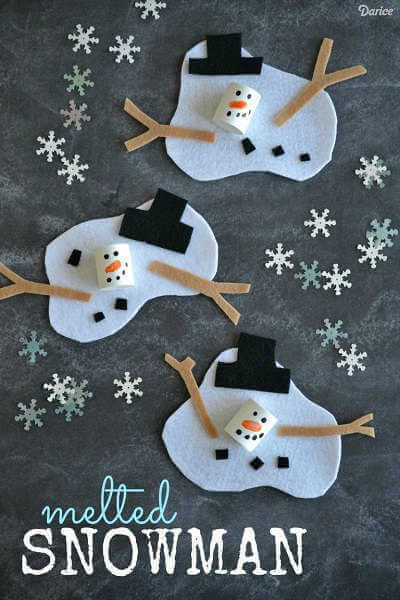 Use felt to make a melted snowman and Kids will have a blast making this. 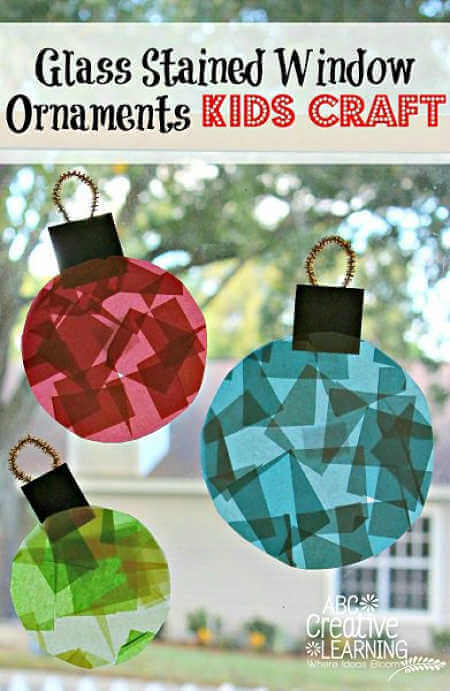 This is a fun idea and kids will have a special ornament. 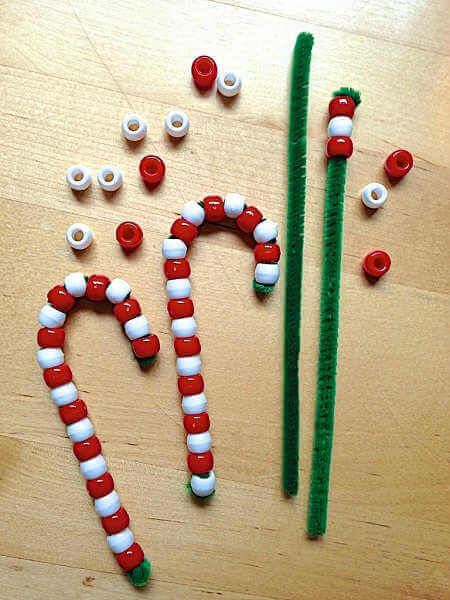 Layer red and white beads on a pipe cleaner to make a festive candy cane! Decorate your windows with these pretty glass stained decorations! Kid’s will love selecting all the different colors for the stained ornaments. 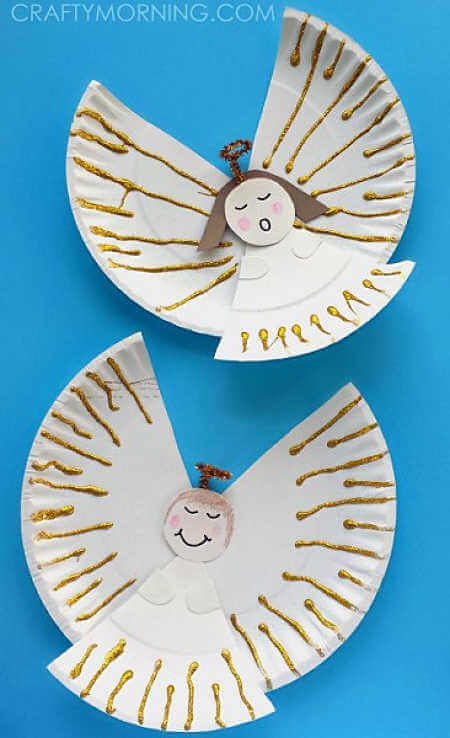 Glitter glue and paper plates come together to make an angel! This Christmas craft is darling and kid’s will love using the glitter glue. It’s amazing what a little string and glue can make! These ornaments can be made in any color you choose. They are so easy! Save your old buttons! 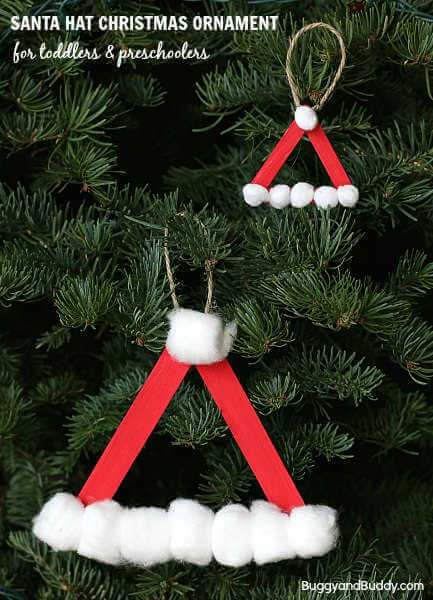 They make the perfect decorations for this Christmas tree craft that can also double as an ornament. Now that you have these fun Christmas crafts for kids, what will you choose? They are all so cute and will keep the kids busy over Christmas break. 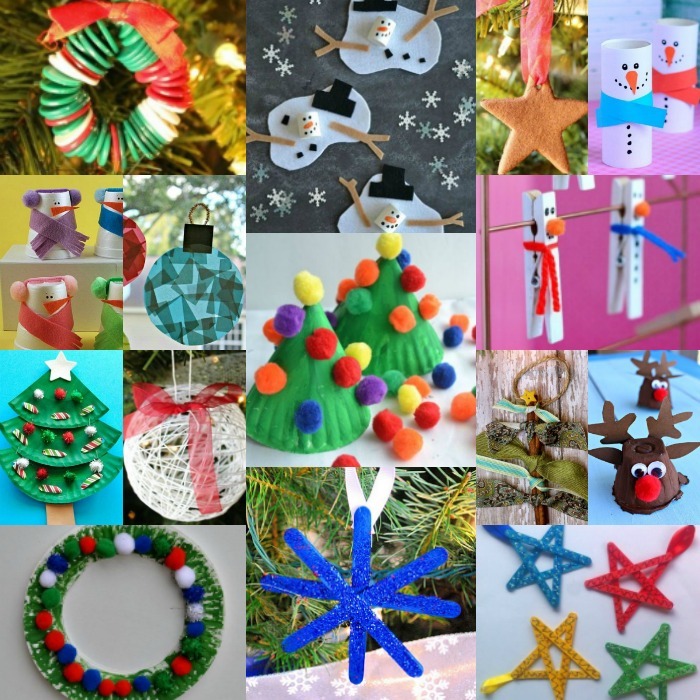 These crafts are also perfect for Christmas parties, class parties at school, children’s church and more! I love that there are also several Christmas activities for preschoolers too. There is something for everyone including Christmas crafts for toddlers age 2-3 and older. 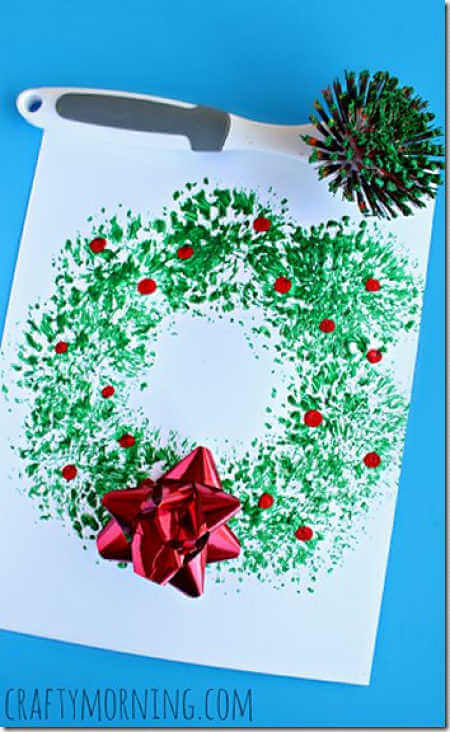 The kids will have a blast doing these quick and easy Christmas crafts for kids. No need to search for Christmas crafts pinterest ideas when we have 20 easy Christmas craft ideas here! Everyone will have a blast. Try these Christmas crafts for kids to make at at home. 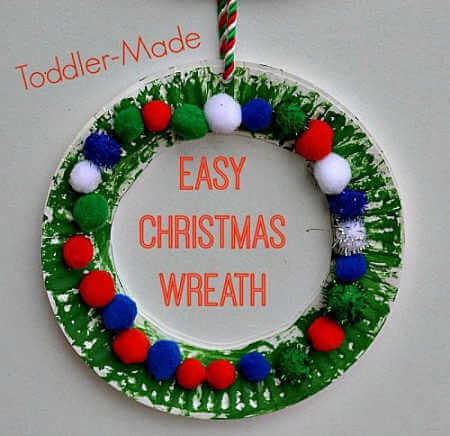 These Christmas crafts for kids are fun and easy for this holiday season.